Welcome to Optica En Linea. Scroll down to browse our entire catalog of content lenses. If you would like to place an order, go to our how to order page to learn the process to do so. 90 pack of daily replacement lenses for both near and farsightedness. Buy three month's supply and save. 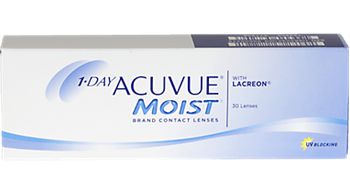 Acuvue 1 Day Moist are daily replacement contacts, they come in a package containing 30 lenses and are indicated for the correction of myopia and hyperopia. 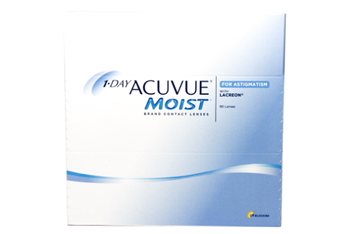 If you want long-lasting comfort and prefer a fresh lens on a daily basis Acuvue 1 Day Moist are an excellent option. Furthermore, they are great for allergy sufferers. 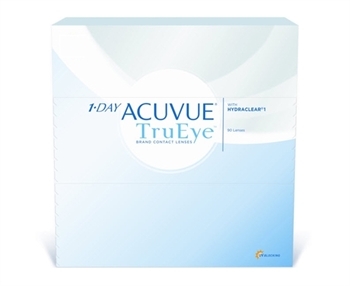 Box contains 30 daily contact lenses for Acuvue 1 Day Moist users who have an astigmatism. Box contains 90 daily contact lenses for Acuvue 1 Day Moist users who have an astigmatism. 30 pack box of silicone hydrogel daily replacement contact lenses. These will be imported upon your order, you can expect two to three weeks for delivery. 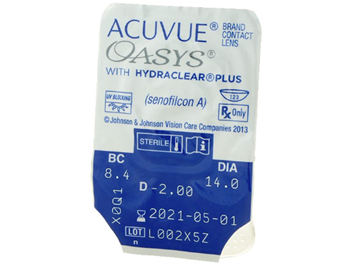 90 pack box of silicone hydrogel contact lenses for daily use. Three months supply available for both near and farsightedness. 6 contact lenses per box. Daily wear disposable contacts that should be replaced every two weeks. Correction is available for both near and farsighted prescriptions. 30 pack of disposable daily wear multifocal contact lenses. An excellent choice for those who prefer not to deal with contact lens cleaning and maintenance. 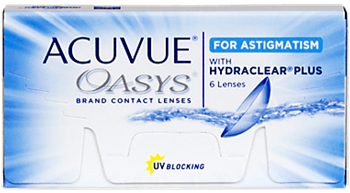 Made for extended wear, Acuvue Oasys lenses provide advanced silicone hydrogel technology that allows your eyes to feel moist even in the driest of environments. 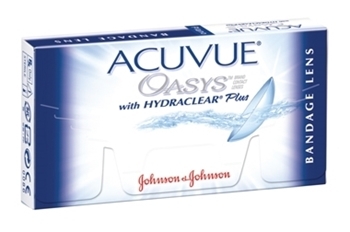 Acuvue Oasys lenses with keep your eyes feeling comfortable. No more rewetting drops as the innovative HydraLuxe technology resist dryness, providing fresh eyes throughout the day and the night. Sold individually without power adjusments, this lens speeds corneal epithelial healing. This is as specialty lens that is not in stock. Please call to order. One of the most comfortable contact lenses for Astigmatism that exists. 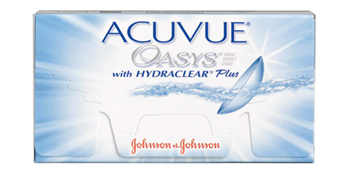 Acuvue Oasys' Hydraclear Plus technology will keep your eyes feeling fresh and comfortable throughout the day and night. Los Air Optix Night & Day de Alcon son los primeros lentes de contacto de uso prolongado diseñados para hasta 30 días de uso continuo. Cada caja trae 6 lentes de contacto mensuales de uso prolongado en solución salina protectora.